A more integrated Africa will improve economic opportunity for many Africans. This was my stated vision 5 years ago- “an Africa where Africans could freely move and trade across the continent”. That same year I had organised the largest African Student-led Conference on Intra-Africa trade at the Lagos Business School. The conference had over 500 delegates with attendees coming from more than 20 different countries including Zambia, Ethiopia, Sierra Leone to mention a few of the countries represented. We also had a number of interesting panels on- mining, entertainment, agriculture that have since gone on to see more intra-Africa collaboration and cross-national investment. I am happy that my vision for a more integrated Africa is coming to fruition. President Kagame the standing Chair of the African Union (AU) is pushing along the institutional frameworks required for this to happen. It will enable 1 billion people better able to move around and trade together. This will improve market access for local producers. There are just too many African countries that are micro-states. They have too fragmented markets to make them serviceable at scale. Out of 55 African countries, only 15 have large enough markets to warrant any sizable local production investment. As a result of small local markets in many African countries, local production is often non-competitive and manufacturing is outsourced to India and China. This creates a situation where industrial output remains low and large numbers of people are unemployed or underemployed. With free trade across Africa, entrepreneurs can justify local production, improve scale economics and cultivate economic rejuvenation. The AfCFTA was signed in 2018 in Rwanda by 44 of 55 AU members. Five more countries signed it later in 2018 . The agreement will remove tariffs on goods and enable free trade to commodities, goods and services across Africa. Intra-Africa Trade is currently estimated at a bare 15%- the lowest for any contiguous region in the world (Europe is at 59%, Asia- 51%, North America-37%) . The agreement will increase intra-Africa to 23% in just 3 years. Alongside the Protocol for free movement it will better improve travel across the continent. Asides from correcting the present shameful situation where non Africans have better access across the continent, it will also be a boon for local Aviation and other transport sectors. Due to poor scale economics Africa airlines currently lose $3.51 per passenger . There are still barriers towards the ratification. Firstly, the agreement requires 22 countries to ratify it. 18 countries have so far ratified as at January, 2019. There are still 6 countries yet to sign- Nigeria, Zambia, Guinea-Bissau, Eritrea, Botswana and Benin. There are concerns about the agreement leading to dumping. Several countries already are notorious for serving as transshipment points where foreign made goods are relabeled as locally produced. The goods are then usually smuggled into neighboring countries. Unless African countries can assure the origin of products shipped country to country as being locally produced, there may in fact be no real market share gain or impetus to local producers from implementing a free trade agreement. Secondly, many countries do not have any significant local production to take advantage of new continental export markets that the agreement will open up. The countries that stand to benefit are already those with large markets and existing local production. For the agreement to benefit smaller countries, it needs to be matched by free migration, so that citizens from poorer smaller countries can seek better prospects elsewhere on the continent. Remittances will ensure that the economic benefits are redistributed into these smaller countries. Thirdly, stiff visa requirements are still in place in many countries and this may inhibit actual trade flows from happening. It is important for the Declaration on free migration to also be implemented by all African countries. 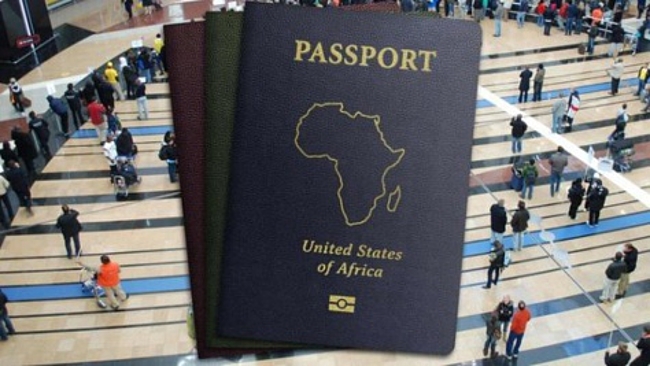 Expediting the release of the AU passport will enable this. Lastly, many Africa countries are still not well connected by road, rail or air. It may be easier to travel to Europe for a connecting flight than finding direct flights between several African countries. 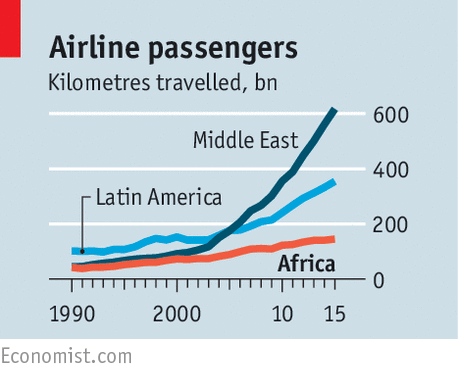 More African countries need to lower taxes on air travel and allow fifth freedom rights for other African airlines. These measures will reduce flight prices by upwards of 50%. This will allow more people fly, improve unit economics for local airlines and enable them open up more routes into hinterland cities. Thus invigorating tourism, trade and economic activities in cities away from coastal areas. As a result it will improve socioeconomic outlook and lower rural-urban migration levels. African countries also need to liberalise road and rail infrastructure development allowing private investors build and operate connecting infrastructure. All land border checks and clearance requirements also need to be stopped so that road and rail transport is more efficient and less costly. A United States of Africa with economic and border integration will be more prosperous. This is because economic growth will be more inclusive and micro-states covering most of the continent will see more sustainable development thus improving the lives of most Africans. With economic integration, African countries can further seek political union based on the ideals of Pan African-ism. This will lead to Africa’s Renaissance, a new era of shared development and more immediate awareness of our historic brotherhood. With the sharing of ideas and capital, Africans will be able to forge the future they want reducing their reliance on ‘extraverted’-based development. As a result having rediscovered herself, Africa will be a more influential actor among the world’s big powers and will be better able to defend the rights of all black people across the world. Next Post Who Should Win Nigeria’s 2019 Presidential Election?